I have already about four drafts of this post. So before the Rugby 7's update turns into the fifth post sitting in my drafts folder - here is our Rugby 7's 2012 experience. 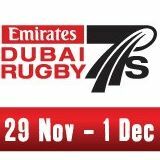 For the official site with the proper and correct information on the event click :- Dubai Rugby7s. 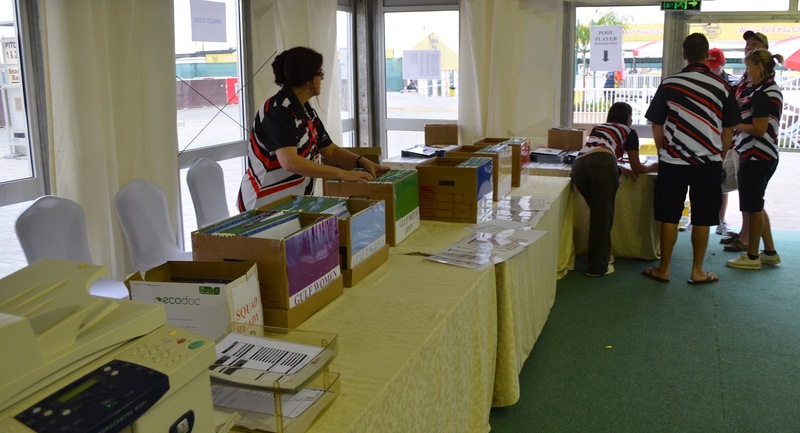 Getting the registration tent ready. As we have volunteered for the past four years, Bryan and I once again volunteered to help in the registration tent for the invitation tournament. WE LOVE IT. There is a delightful team of people who arrange and run this very special tournament. It is pretty cool to get the opportunity to volunteer and help out. The organisers are great so it makes being there for hours and hours each day a pleasure, if somewhat exhausting. The players are all a treat - from the passionate competitive youngsters in the school teams to the veteran players who end the tournament mostly hobbling about with silly happy grins on their faces despite their injuries. I was snug and warm in the registration tent. Bryan was stationed on the pitches so he had no relief from the rain. Along with hundreds of spectators he had to use a bin-liner as a raincoat. Here is a proper blogger's account of the Rainy 7's as a spectator: Dubai's Multicultural Rugby 7's - in a Monsoon! What The National had to say about the rain at the Rugby 7's. 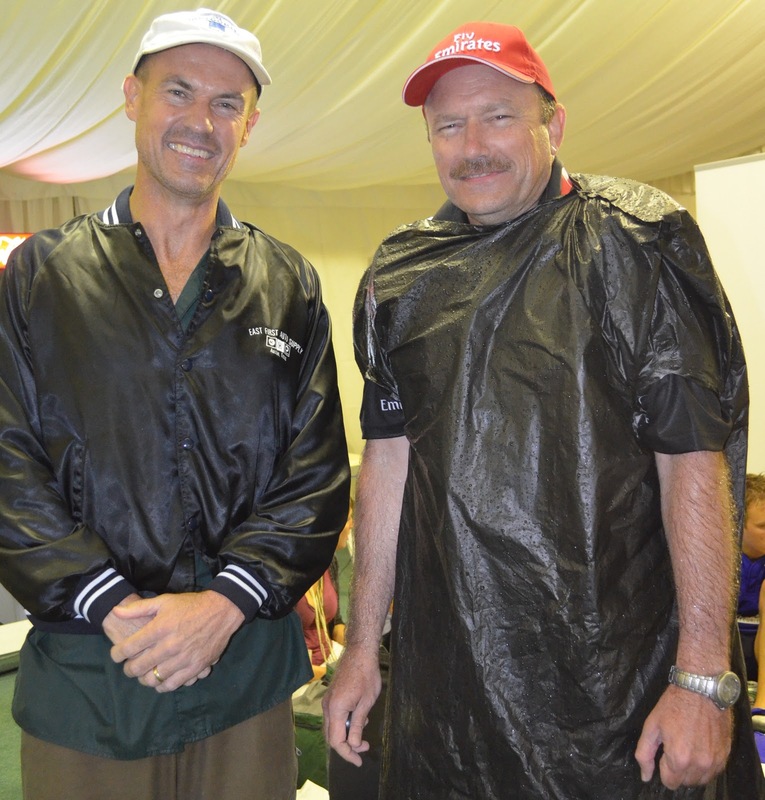 Drowned Rats - Bryan (sporting Movember) and his cousin Stan. I could not watch Ruby for one whole day, much less three, without going stark raving mad, but I would hate to miss out on the wonderful atmosphere that comes with this event. By volunteering I get to be a part of it all without having to actually watch too much sport. Maybe I should not admit that? I do love those games that I get to watch. It might be because I feel somewhat involved. Who cares why. Just do it. Right? By the end of the tournament my bed looks like the most inviting place in the whole world. Bryan and I only do this for three days and by the end of it I can barely put one foot in front of the other. In my defence I do have particularly delicate feet. The professional team that actually arranges the whole Invitational Tournament are at it for much longer. And they never lose their cool. It is wonderful what this competition does for the sport. They have my total admiration for all the time and dedication that it takes to make the Dubai Rugby 7's one of the premier events in Dubai . The utter banality of my humdrum life.